Sprinklings: 4 1/2 years apart ~ identical twins? I might have been delusional for the past two months; everyone was telling me that Kiddo and Sneaky B looked exactly the same. I didn’t see it. Not a bit. Until today, almost. My mom is visiting (we are working on a new business-Pink Floor Studio) and she was insisting the girls look the same. So I pulled out the pics and Holy hell are they the same or what? Maybe not perfectly identical, but really close. What do you think? Looking at more pictures both girls look like Hubby’s dads baby picture too. Strong genes…I think yes! By the way- check out this picture. WOW Hubby’s great grandma was a serious chick huh? The great grandparents immigrated to San Francisco from Kars, Russia (now part of Turkey) in the early 1920’s. We have been learning a lot about their journey and life lately, maybe I’ll share more one day. Genes are funny, you never do know what you’re going to get. 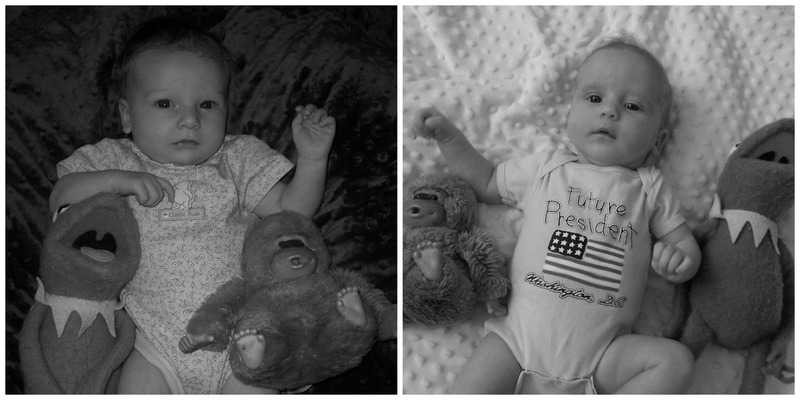 It is pretty amazing how similar our girls are, so far. We can already tell some of their differences, the biggest one being sleep. 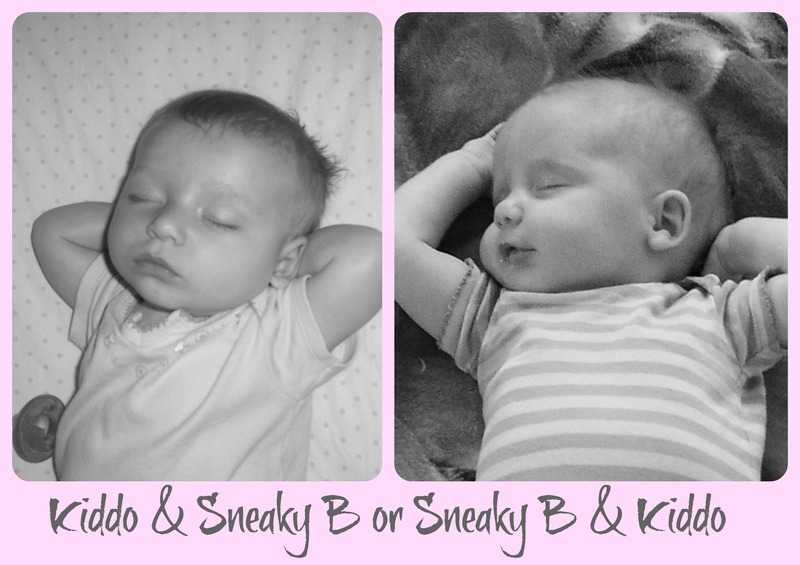 Kiddo has never been a good sleeper (like me) and Sneaky B is sleeping nine to ten hours straight at night already (like Hubby). Not really sure the point of this post other than I love these girls like crazy! Whether they are four and a half years apart twins or just very similar sisters, I am so very grateful they chose us to be their parents. stop it right now! 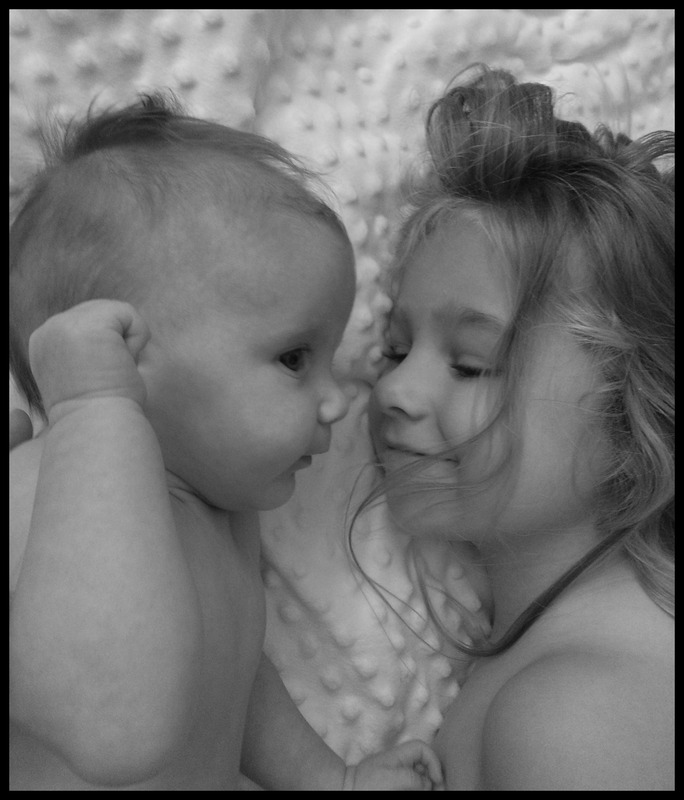 They are two cute. 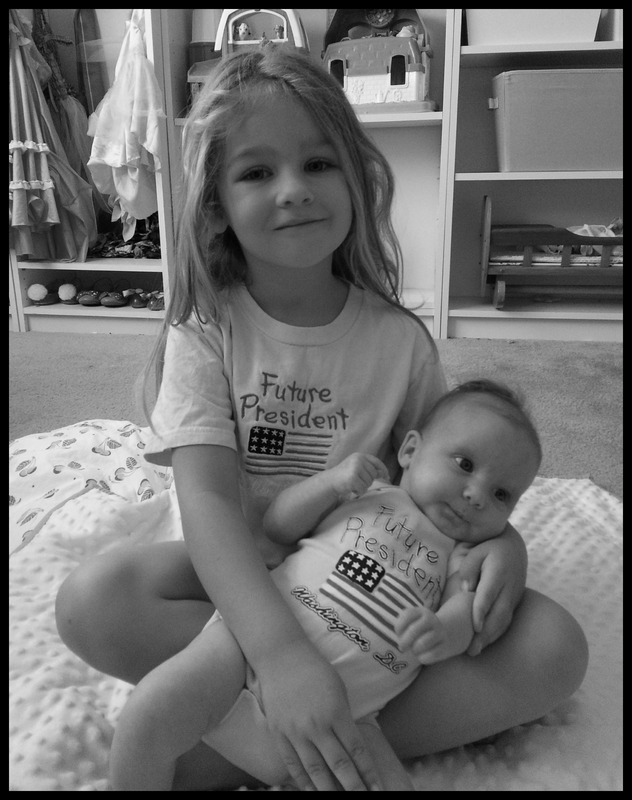 There is a strong resemblance…great genes they are. So amazing..but is it my imagination or is Maddys knee swollen?? Pic looks like thigh is skinny and knee is all bent!